Our mission as the Muir College residential life program is to provide a safe and comfortable living and learning environment, where personal growth and development are facilitated in an educational manner. 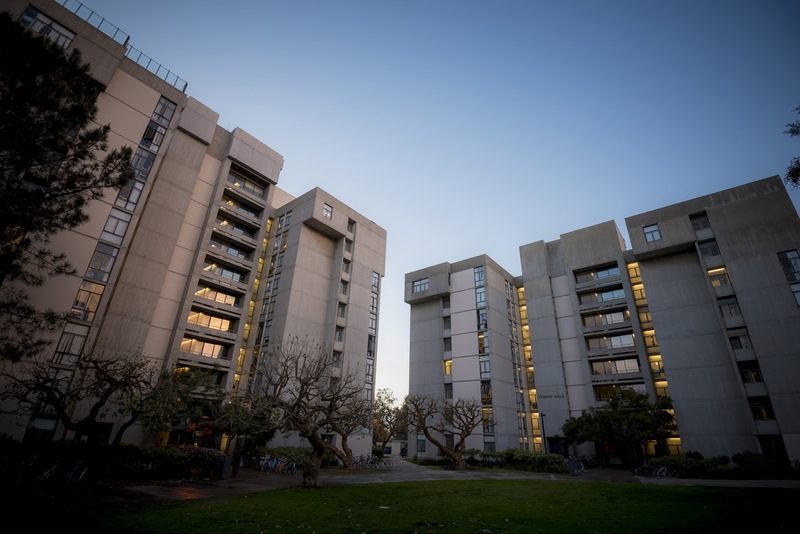 Summer and Academic Break Hours: 8:00 a.m. - 4:30 p.m.
We've never heard anyone say that living in the residence halls or apartments at Muir College is dull! In fact, we think you'll find it to be a unique experience, more like your favorite roller coaster ride, as you experience it as more than just a place to study, sleep and eat. We are here to support your academic pursuits, but we hope to assist and facilitate your personal growth outside of the classroom in a variety of ways. You'll notice we never use the dreaded "D" word; "dorms" just doesn't exist in our vocabulary and we hope you'll drop it from yours as well! Dorms are those dull places in which all that students do is eat, sleep and study! You'll find our facilities, Tenaya and Tioga Halls and the Tuolumne and Tamarack Apartments, much more exciting and dynamic places to live. The Residential Life staff works with students who live in the College’s residence halls and apartments to create a safe, welcoming living and learning community. They partner with Muir’s resident House Advisors, all third or fourth-year students, to engage all resident students in the life of the College and present fun and informative programs throughout the year.